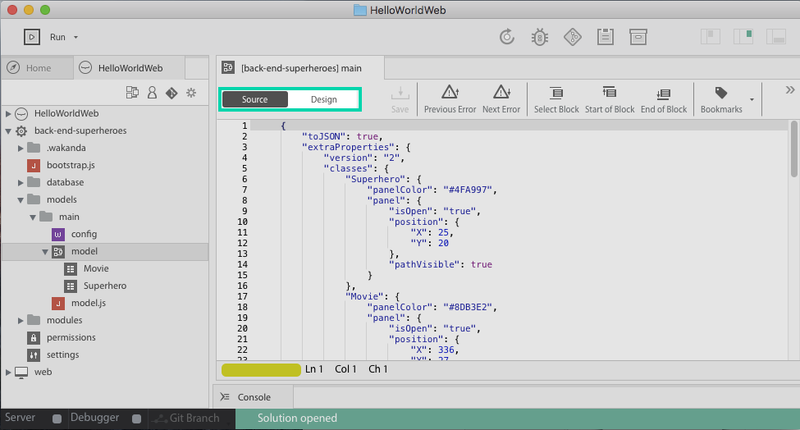 Now, let’s make our HelloWorld web app more interesting by accessing data from the built-in DB. First we need to add a back-end project. 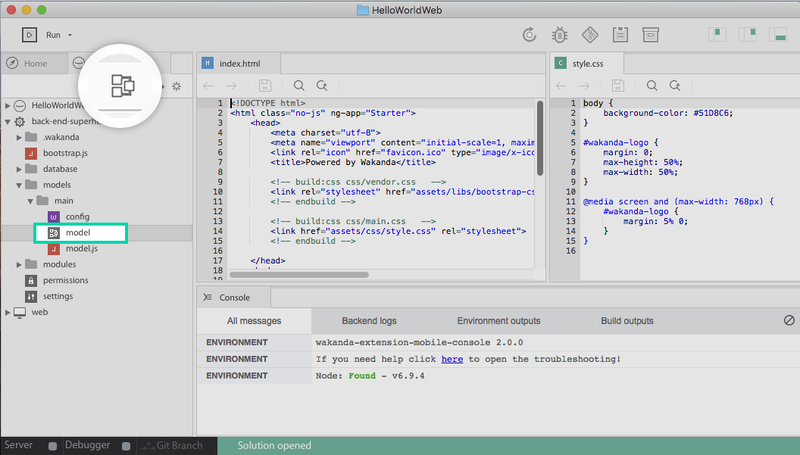 It will contain the data, datamodel and the business code. Right-click on the name of your solution. (New>Project) (or command+shift+N). 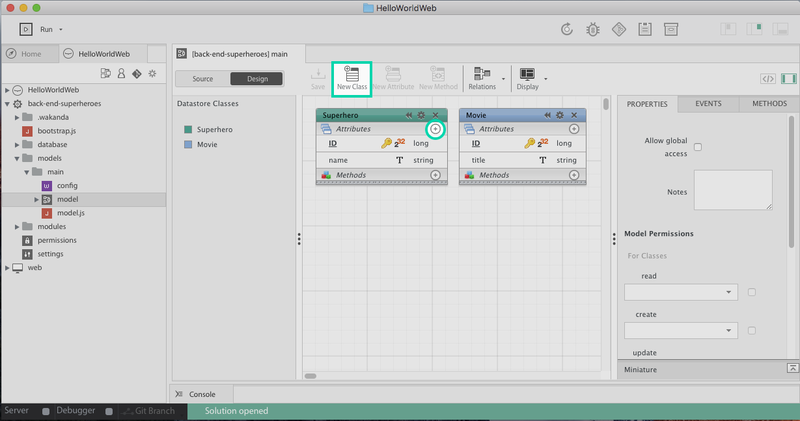 It allows you to create your classes, and their properties visually. The attribute ID is given by default to all dataclasses created. 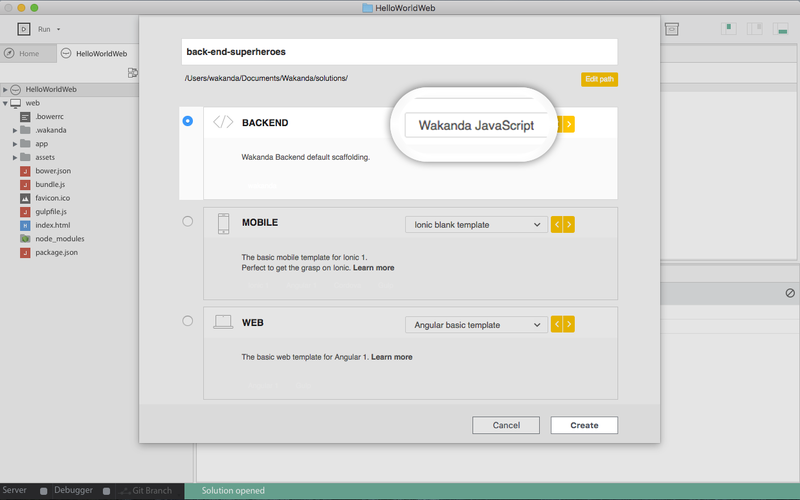 The classes instantiation are named “Entity” in Wakanda. They are similar to classical js class instanciation, except a new ID is automatically created at each generation in order to keep entities uniqueness in the datastore. 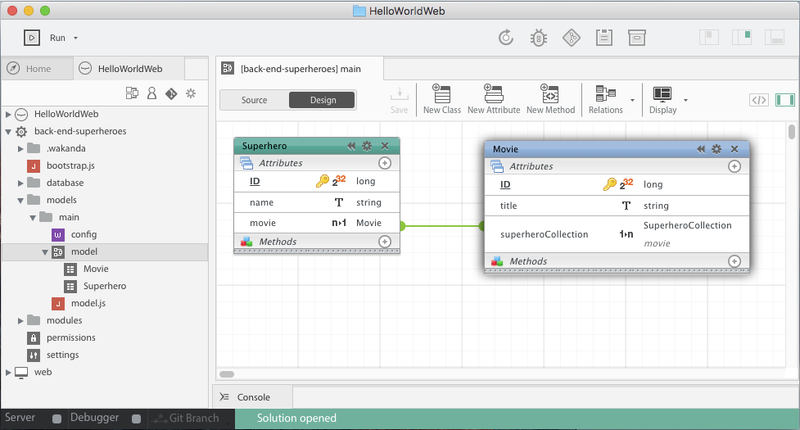 Two objects constructors have been generated : Superhero and Movie. 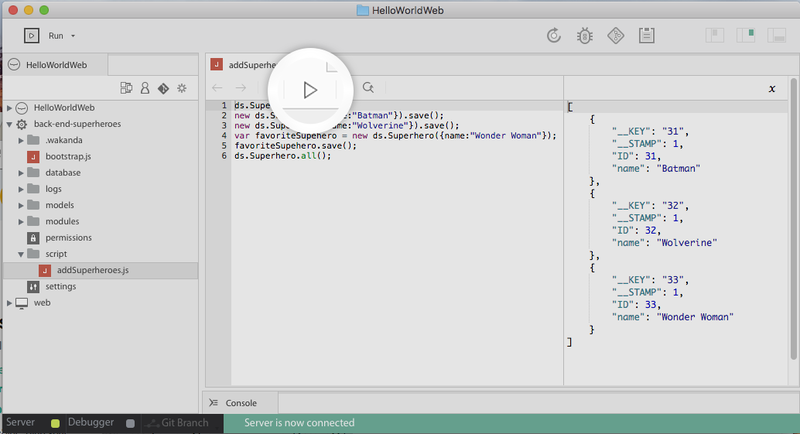 Add a js file addSuperheroes.js in it (Right click on the folder or File > New >JS File). 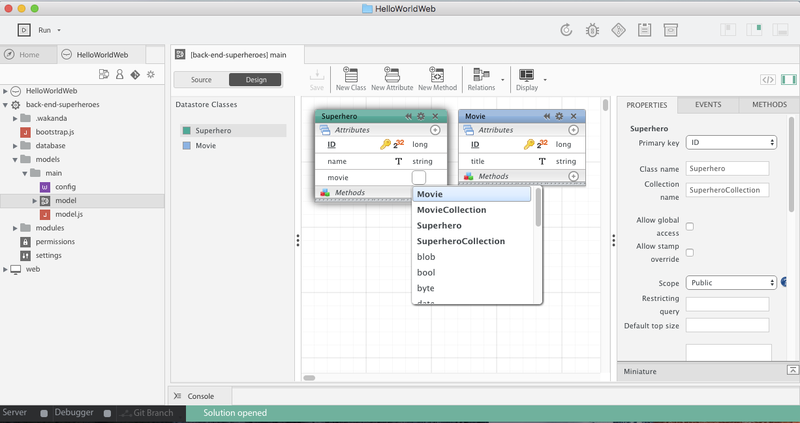 Use the generated constructor Superhero to add your top 3 Superhero in the the built-in database. click on the “Play” icon. The constructors generated by the visual editor always take an object as argument (not the attributes values unlike a classical JS object constructor). save() is a Wakanda method used to save the JSON corresponding to the Entity (meaning only its attributes) in the datastore.